How Low Can You Go? This game is one for ALL ages, from toddlers to grand parents. 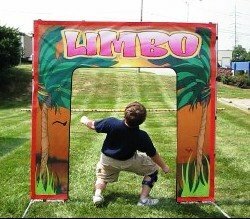 Everyone loves to Limbo! Complete with Limbo pole and festive backdrop. A must have for Festivals, Church and Corporate Events!